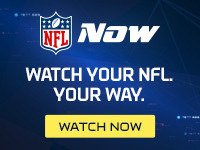 Published: Jan. 22, 2015 at 07:11 p.m.
New England Patriots star Rob Gronkowski joined MVP candidate J.J. Watt as the only unanimous selections to the 2014 All-Pro team. No tight end in history has come close to matching Gronkowski's production through five NFL seasons. For all of Gronk's obvious greatness, though, one member of the Seattle Seahawks' "Legion of Boom" secondary scoffs at the idea that the game's most lethal red-zone weapon presents a matchup problem. "I actually don't think he's that good," cornerback Jeremy Lane said Thursday, via The Seattle Times. "He's OK. But he does have a big body, and from what I've seen on tape, he don't like your hands being put on him. So if we put our hands on him and shake him up a little bit, he won't catch that many balls as he should." We have become inured to preposterous quotes emanating from Seattle, but this one is especially detached from reality. Gronkowski is not only the greatest receiving threat ever to play the position, he's also one of the most physical blocking tight ends in the league. Similar to Dan Marino and Eric Dickerson at quarterback and running back, respectively, in the 1980s, Gronkowski has rewritten the early-career expectations for tight ends. He has broken the mold. NFL Media's Nate Burleson has noted that Gronkowski looks like he was "built in a lab" or "pieced together by the football gods." No one player, much less a backup cornerback of Lane's caliber, has proven capable of slowing down Gronkowski. If the Seahawks are going to shut down the most dominant player in Super Bowl XLIX, they will need a combination of Kam Chancellor's size, Richard Sherman's playmaking ability and Earl Thomas' speed and quickness.